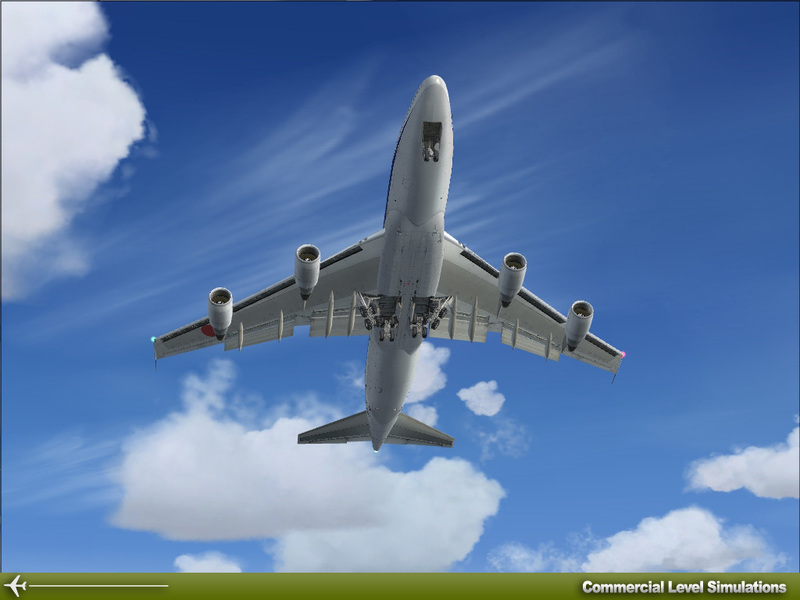 The Commercial Level Simulations Boeing 747-200 includes a free bonus, the Boeing 747-300. 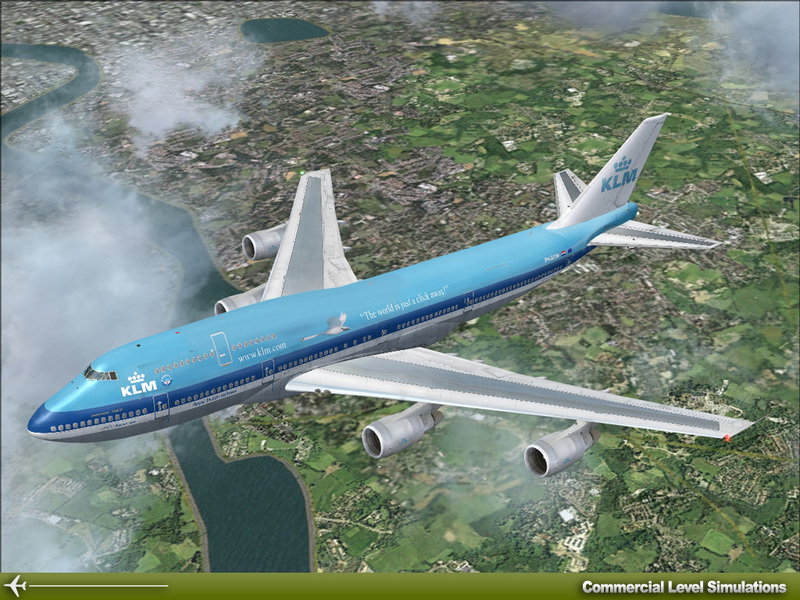 Looking for the ultimate 747 experience? 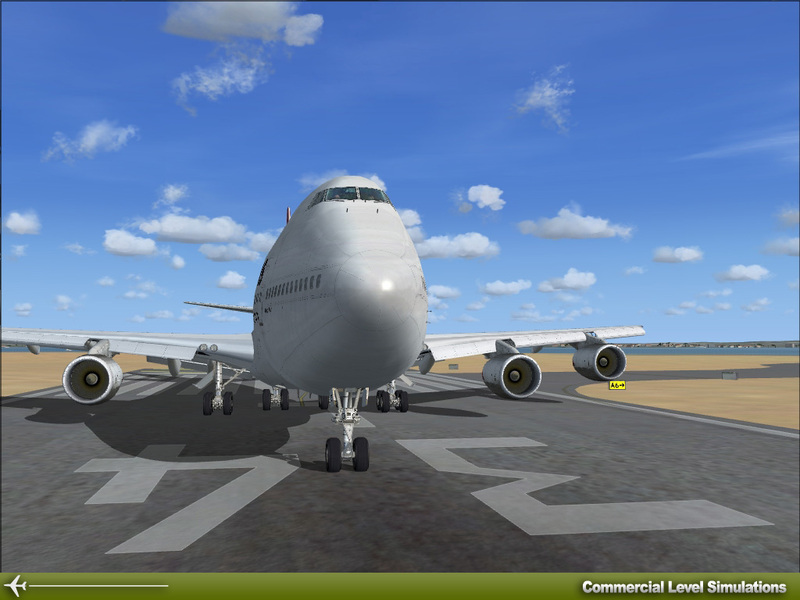 The CLS 747-200 includes 65 liveries, extremely detailed exterior model and realistic Virtual Cockpit (photoreal parts). The panel is equally good and has many functions. This product requires internet activation! 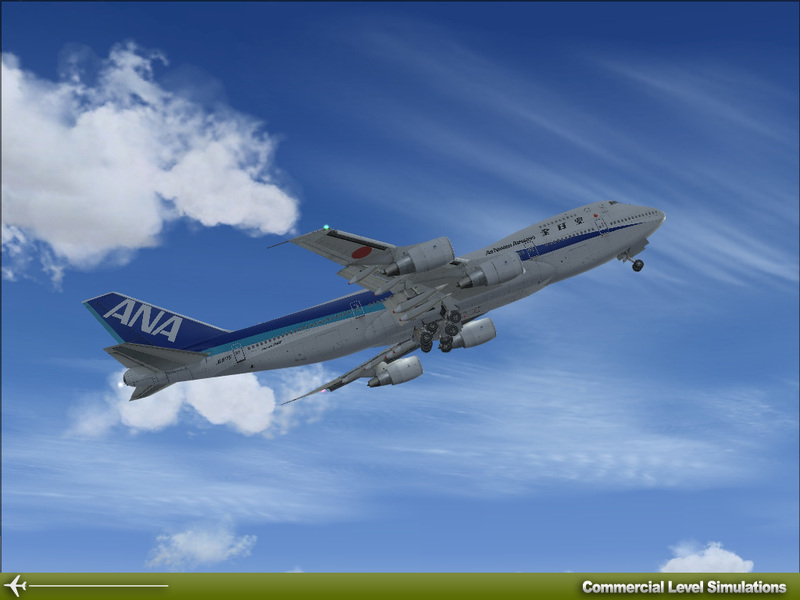 • For both FSX and FS2004! • Highly detailed exterior models. • 2D panel with custom gauges. 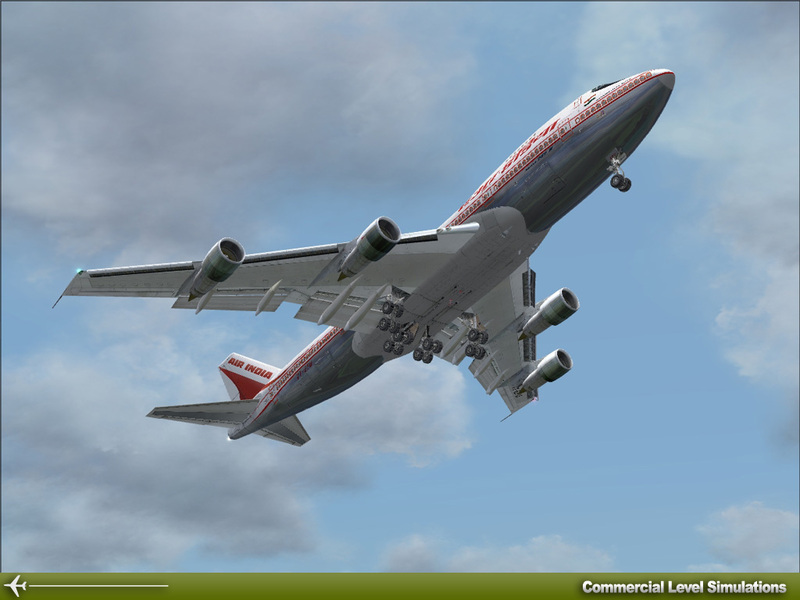 • 65 highly detailed liveries! 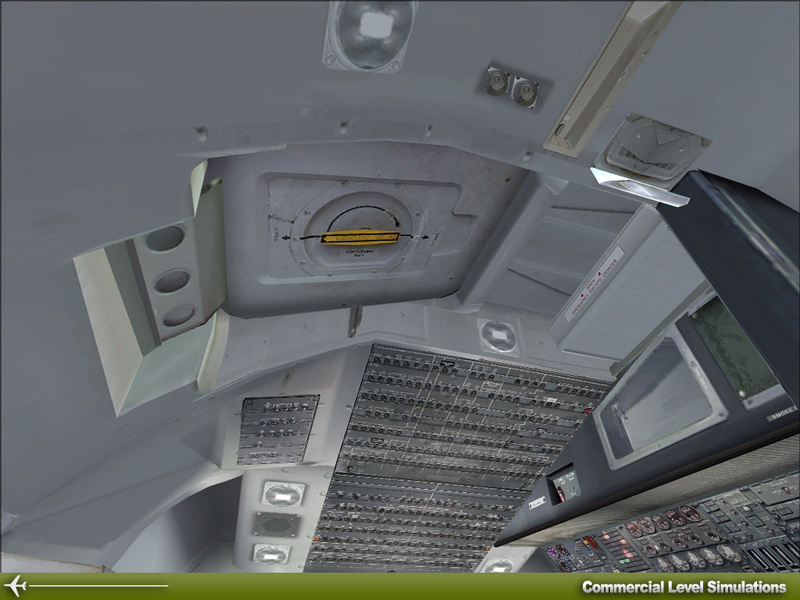 • Detailed flight deck when seen from the exterior. 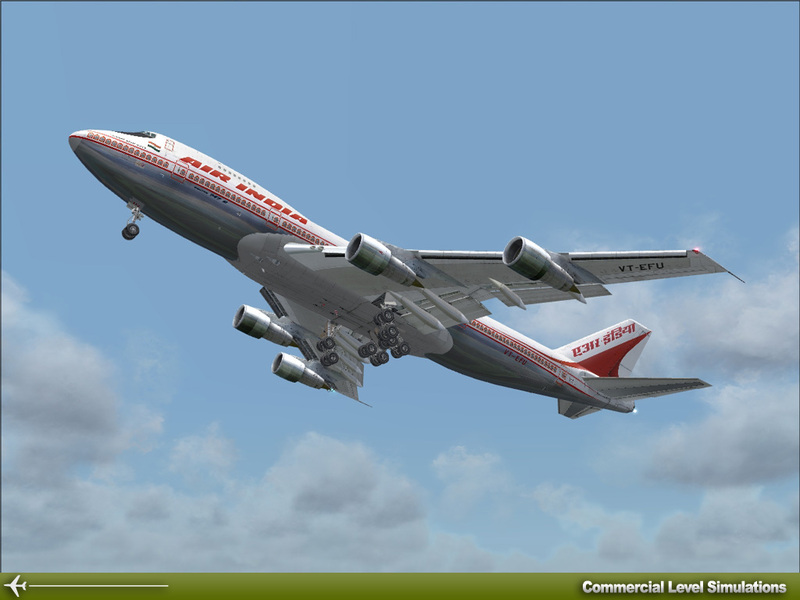 • Animations abound; Passenger doors, cargo doors, flaps, rudder, elevators, undercarriage, engine fans, thrust reversers and spoilers. • High quality sound sets. 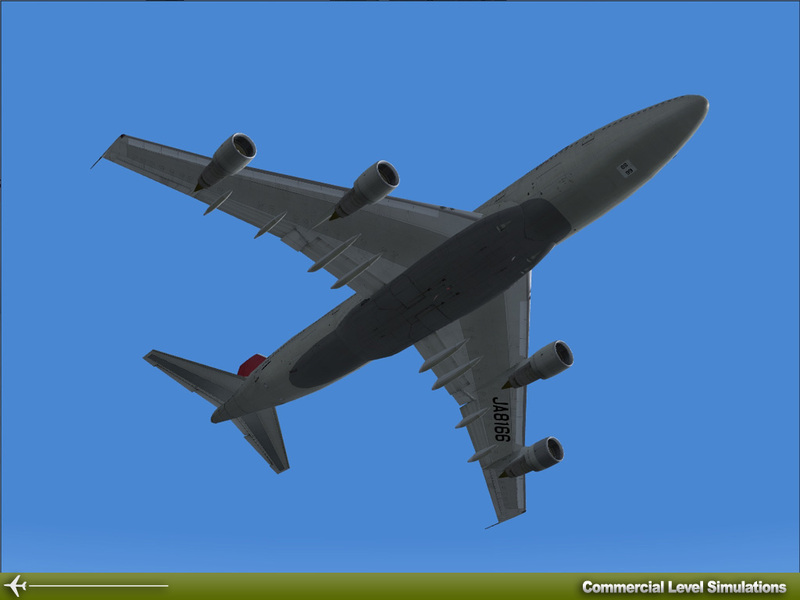 • Rolls Royce, Pratt and Whitney and General Electric engines modelled. 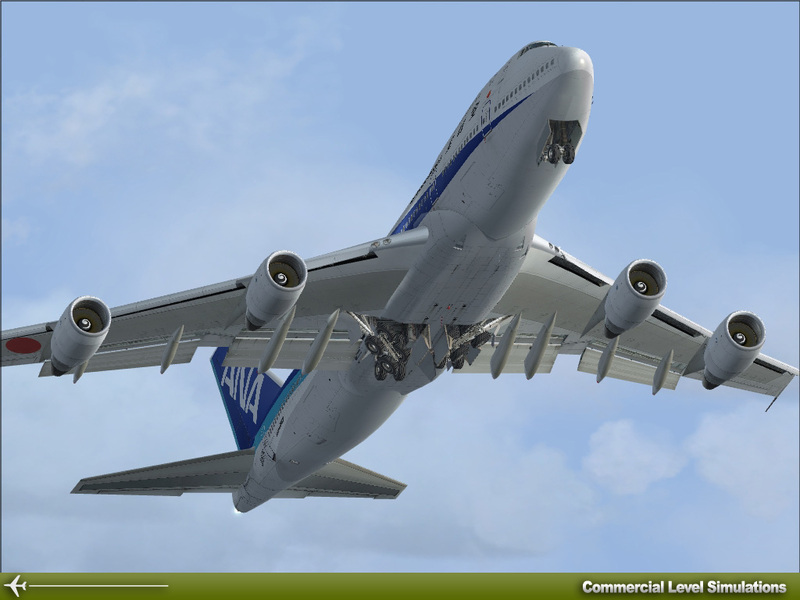 • Highly detailed 747-200 models: Passenger, Combi (Cargo and Passenger) and Cargo. 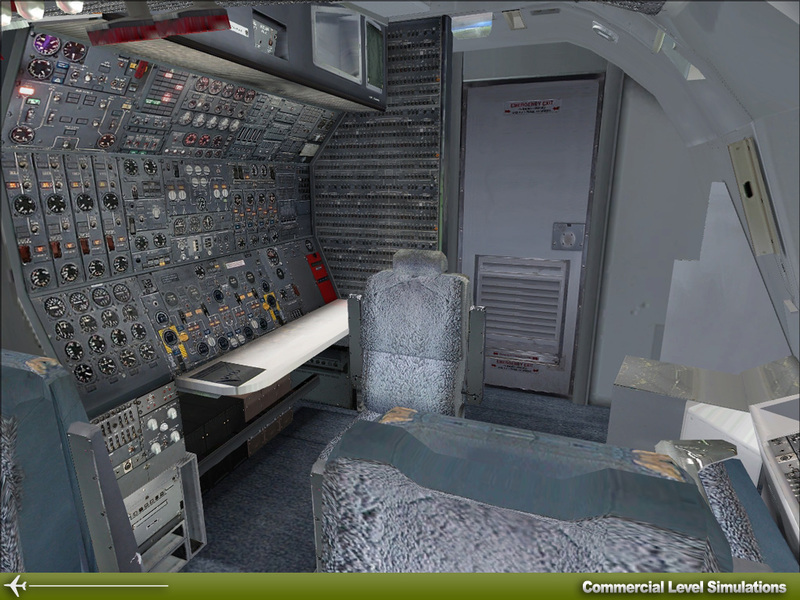 • Highly detailed 747-300 models: Passenger. Combi (Cargo and Passenger). 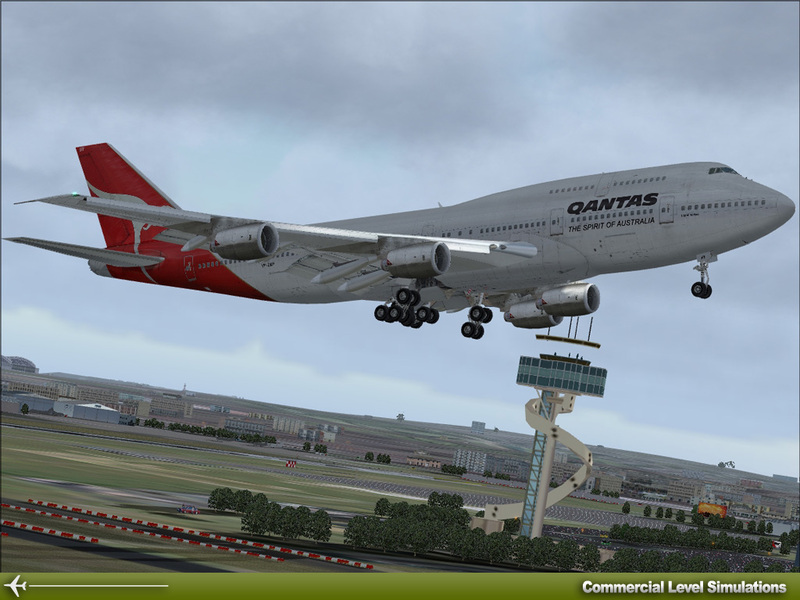 • Pushback truck (can be switched on/off for FSX). 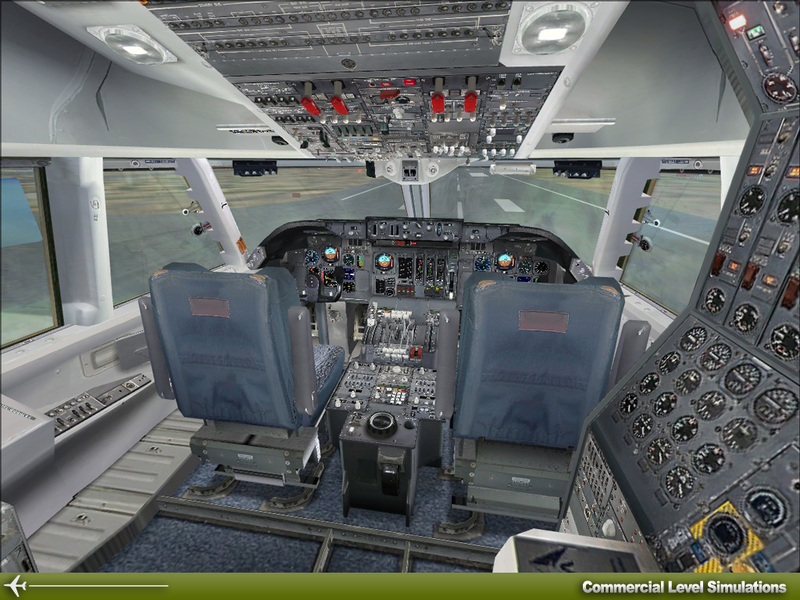 • Option for showing wings in the interior view (wingview). 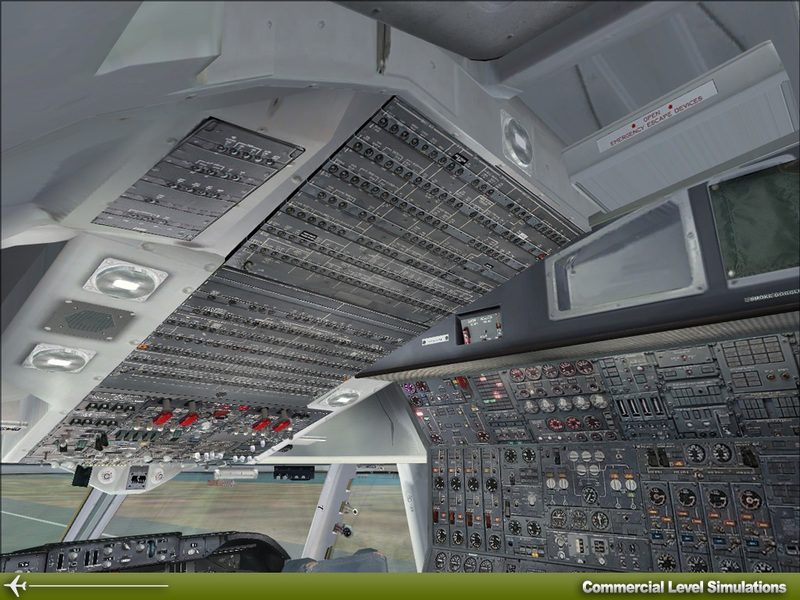 • Full flyable photorealistic virtual cockpit. 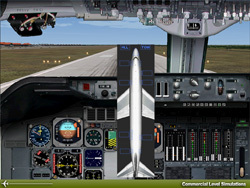 • Realistic thrust reverser animation. 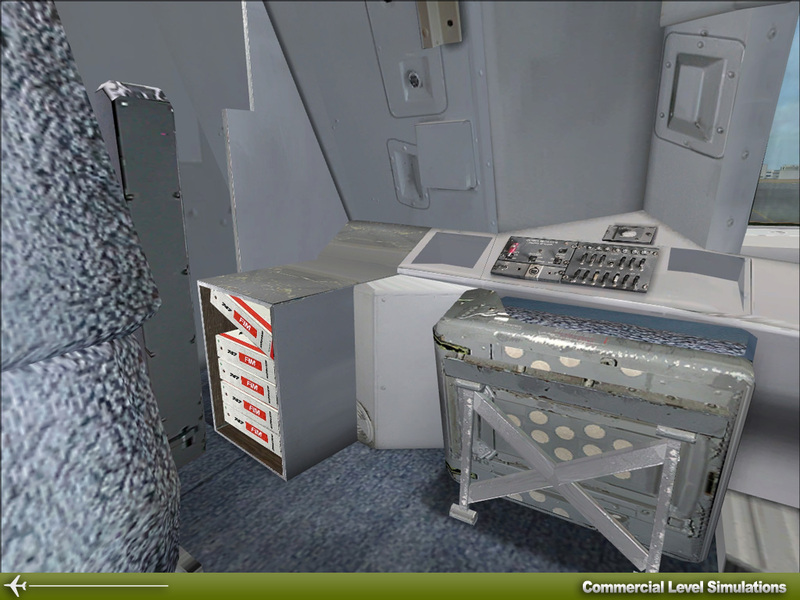 • Highly detailed texture mapping without compromising frame rates. 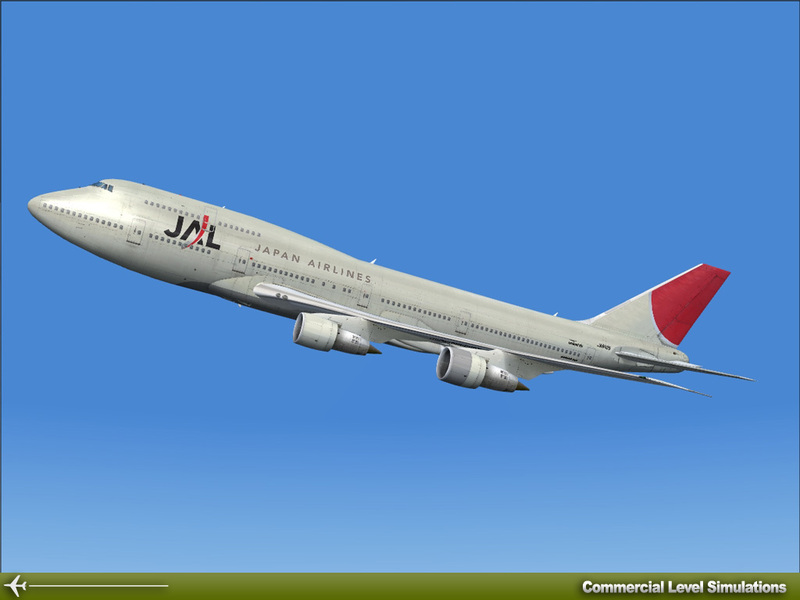 • Layered paint kit included to help create your own liveries (suitable additional paint program such as Photoshop required). • "True Feel" format for correct performance and feel. 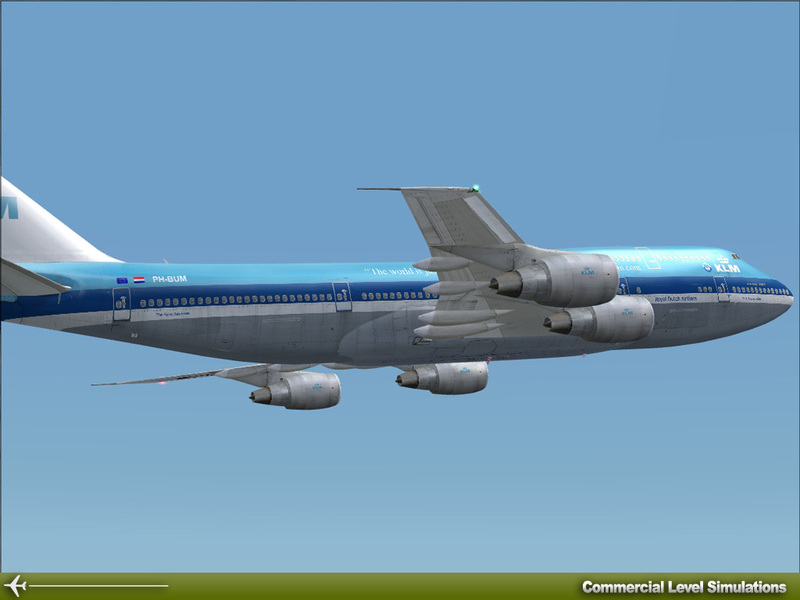 High-fidelity 747 Sound-sets for the Pratt and Witney, General Electric and Rolls Royce engines. • Uses the default MSFS payload and fuel editor for ease of use and reliability. • Uses the default MSFS flight planner and Navigation Log for accurate flight/fuel planning for ease of use and reliability. 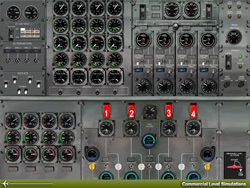 • High quality 2D instrument panel. 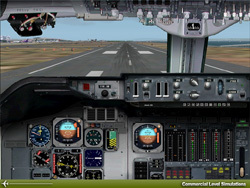 • Virtual Cockpit with mouse clickable operations. • Full analog Pilots, Co-Pilots and Flight engineer panels. 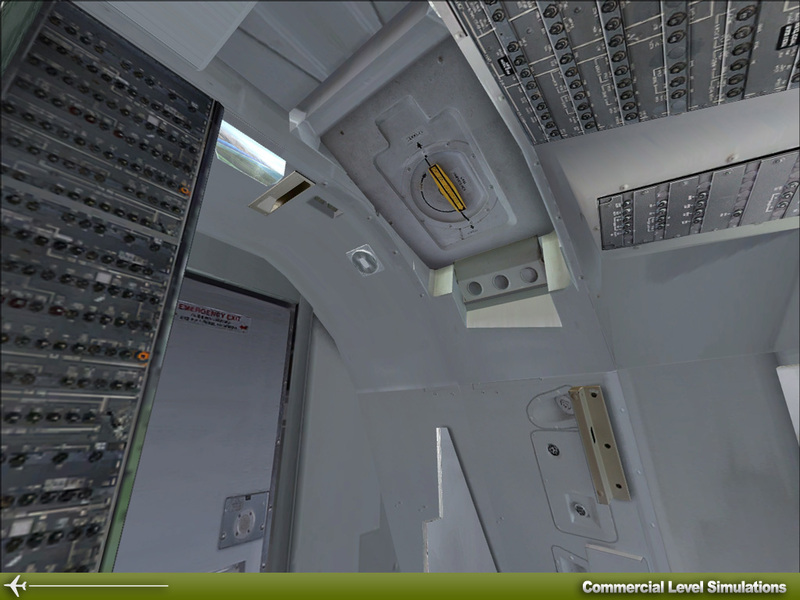 • Overhead, Throttle Quadrant and Radio stack panels. 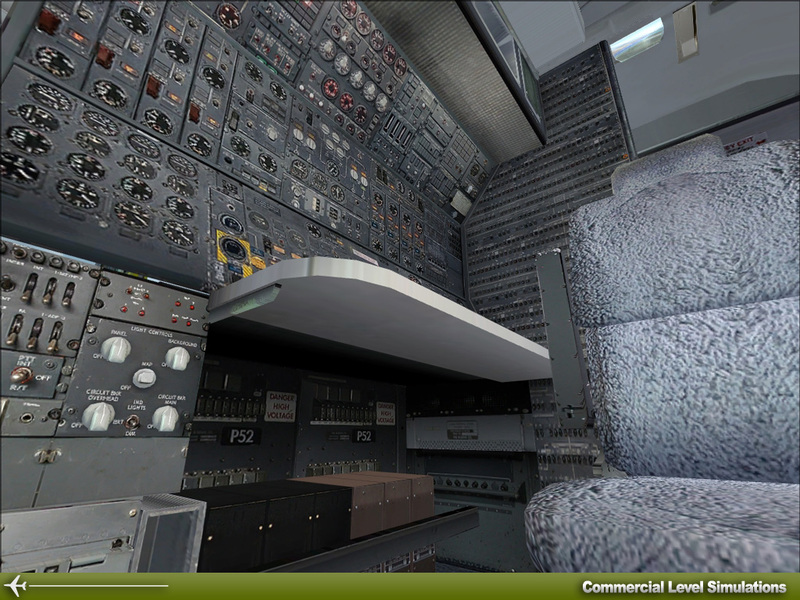 • Flight Engineers station has expanded pop-up panels for easier viewing. 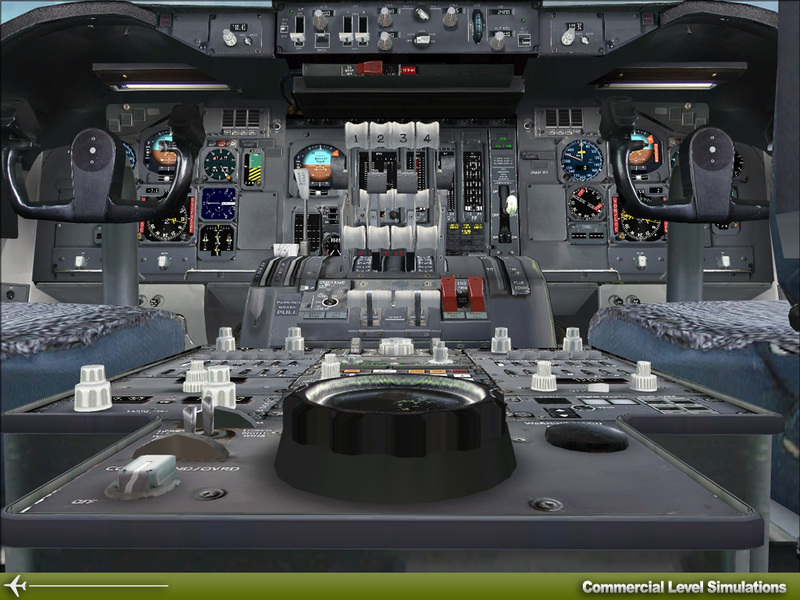 • Use of the SID's and STAR's in the Microsoft Flight Simulator database. • Radio and Navigation frequency entry. • "Direct to" waypoint features. • Estimated fuel on board, and more.